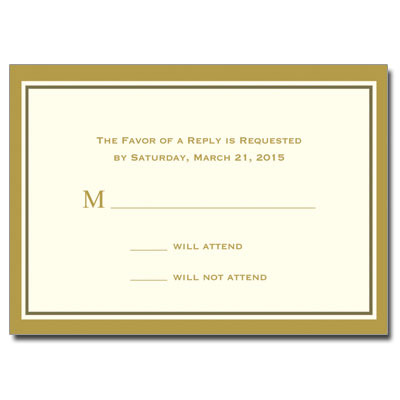 This design, printed on ecru cardstock, brings a contemporary and elegant style to your response cards. Send them out to ask friends and family, so they can respond in a special way. Comes with matching ecru envelopes.